This is my is first attempt at a blobbicure and it is a massive fail. I don’t know if I did it wrong or used the wrong kind of polishes, but it definitely didn’t turn out like I wanted it to – I was about to take it off when my boyfriend convinced me that it looked pretty cool even though I didn’t suceed with the blobbicure. I’m not completely conviced, but I left it on because this was my third attempt and I lost my patience. 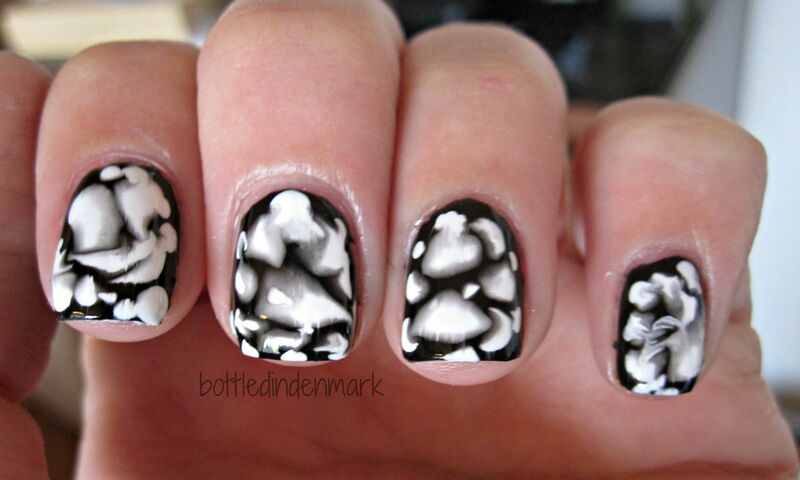 I guess, it looks alright if you don’t think of it as a blobbicure.. Thank you! It’s always nice to get positive feedback on things you’re unsure about. Thanks for stopping by! Love the texture of the look. I clicked on it cause I wanted to figure out how it was done too. Maybe not a blobacure, but it still looks cool! I liked this so much I had to come here to find out how you did it. Great manicure! Ja, det gik lidt amok! En blobbicure laver man ved at lægge et tykt lag lak og mens det er helt vådt, drypper man dråber af en anden farve ned i det og de vil så skubbe til hinanden og lave sjove former.. Mine spredte sig bare ikke så godt, så jeg trak i neglelakken på siden af neglene med min finger og så gjorde det det her..
Just like some previous ladies I clicked on your mani in the inlinkz because I was like “never seen this before”! 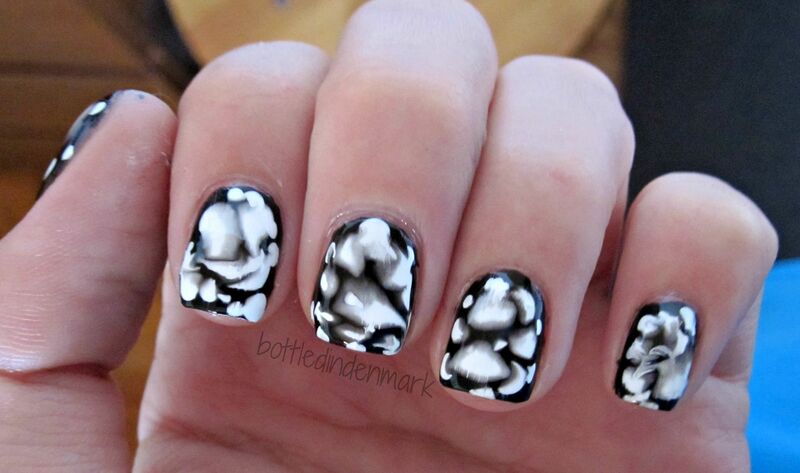 It looks really cool and interesting, my blobbicures never turned out like this and I’m jelly!